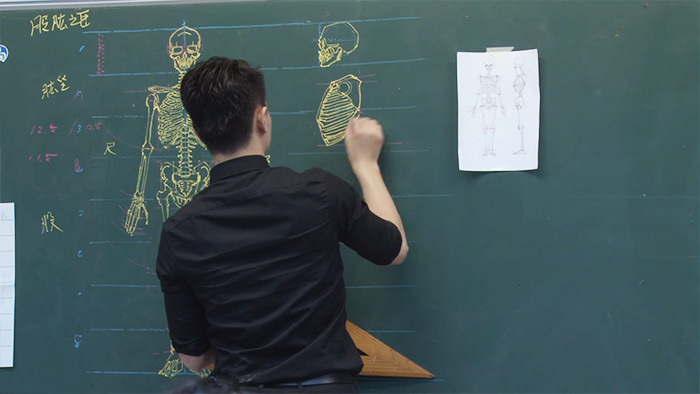 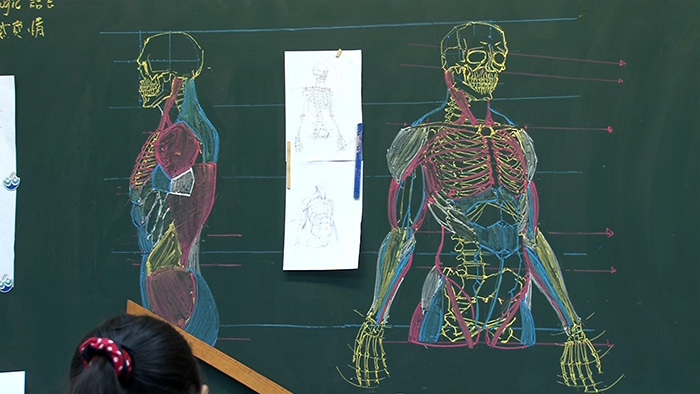 Chuan-Bin Chung (鍾全斌), a Taiwanese teacher at the Department of Visual Communication Design of Shu-Te University (樹德科大) in Taiwan, becomes famous for his detailed anatomy masterpieces on chalkboard, who has been teaching Illustration, Anatomy of Arts and Painting Skill for 3 years, “Yes, we have a textbook. 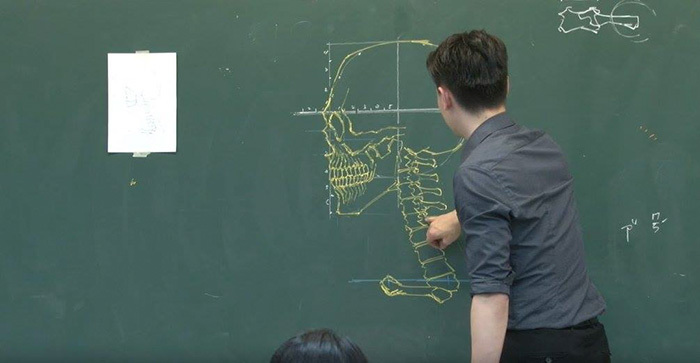 But we don’t read it, we draw it. 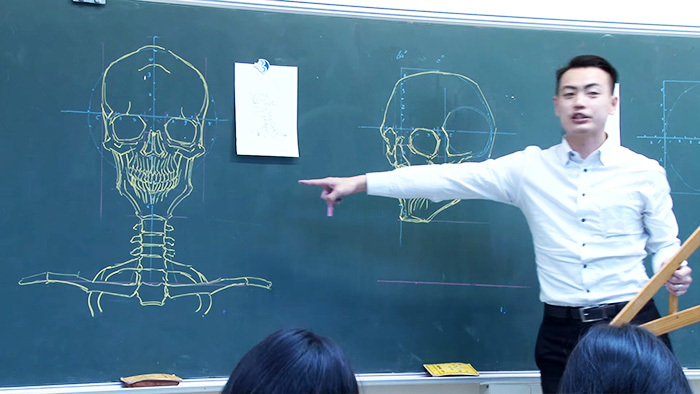 Students, majoring in this area, cannot learn by just reading the pictures on books. 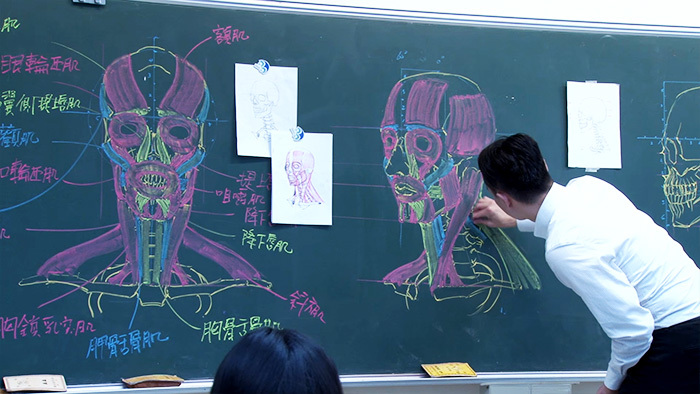 Instead, we learn while drawing something. 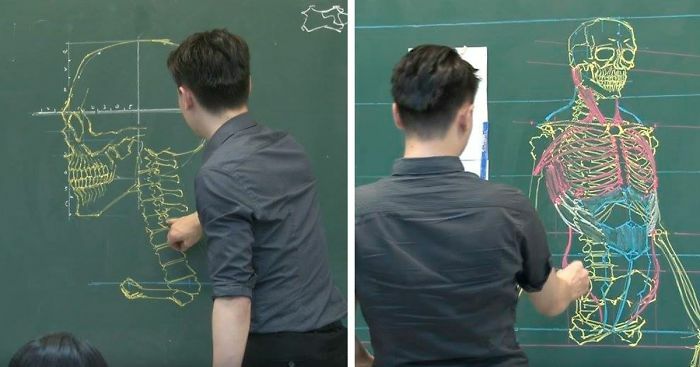 In my classes, students have to draw what I am demonstrating on the chalkboard.” The talented teacher said in an interview.